Globally popular 22-year-old Dutch DJ and record producer Martin Garrix has been ranked as the number one DJ on DJ Mag's Top 100 DJs list for three consecutive years. 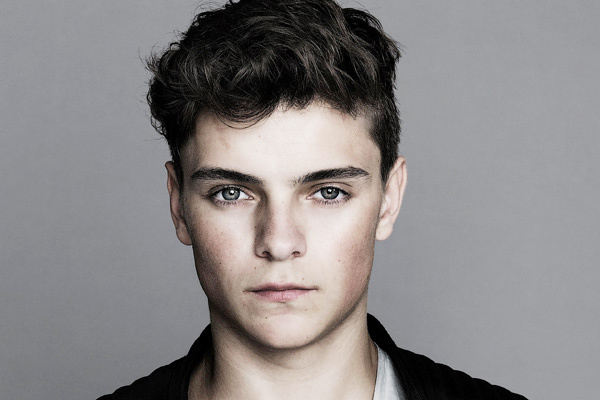 Garrix, who achieved this feat in a very short span of his vibrant career, has performed at various music festivals such as Coachella, Electric Daisy Carnival, Ultra Music Festival, Tomorrowland, and Creamfields. And now, the talented artist is returning to India with a bang! Ahead of his two city arena tour by Radio Mirchi in Mumbai and New Delhi, Martin Garrix spills some beans about his musical outing to India in an exclusive interview with Radioandmusic. What can your die-hard fans and new audiences anticipate from the Power Arena Tour? Any thoughts on the state of electronic music in 2018? How important is India as a market to you and the biggest evolution, you have noticed? I think electronic music is still doing very well, and it’s also great to see that it’s growing so much in certain countries, like India, where the interest in electronic music is growing for sure and that it’s getting bigger and bigger. I love seeing my fans in India. They are so dedicated. You recently released a single 'Dreamer' wherein you have collaborated with 60-year-old singer Mike Young, whom you discovered at the New York Subway. He may be 60, but he is still young at heart. The first time I heard him was actually on Instagram, but I knew this could be something really special. So, we contacted him and he loved the idea. I've had some great response to the song, people loved it. I think his story is a great match with the message of the song, which makes it extra special. You have collaborated with so many artists like Dua Lipa, Usher, Guetta etc. Whom do you admire the most? You have been the world number one DJ for three years in a row. What would you say is your biggest achievement or is the ranking enough? It is definitely a huge compliment, but I don't see myself as the best DJ in the world. Getting that title, for me, is a confirmation that I have the most amazing fans! I am really proud of where I am today, the things I get to do, the places I get to visit and the people I get to meet. This to me is the greatest achievement. I would not have been where I am today without the great support of my fans. Your parents have careers that are a bit more in the mainstream. Were they supportive of your decision to go into music? Yes, 100%. They have always supported my decisions. Is it hard to stay back and rest or do work while all your friends are out partying and having a good time? I imagine you probably want to go join them all the time. I do miss them when I’m on the road of course. I try to take them with me as much as possible or visit them when I am in Amsterdam. You have visited India before. Can you share some interesting anecdotes of your visit here? I have visited India before, yes. I even celebrated New Years here last year. India is amazing. I always feel really welcomed here and my Indian fans are absolutely loving! I always have a good time when I'm in India. I don't really listen to Bollywood music, but I do think it's really interesting, especially the instruments they use. It's so different! And when it comes to collaborating with Indian musicians, I'm always open to new collaborations. MUMBAI: Laxmi Bomb, a three-piece band that comprises of a blend of traditional and urbanscape music, is, widely, known for their electro-pop/rock.